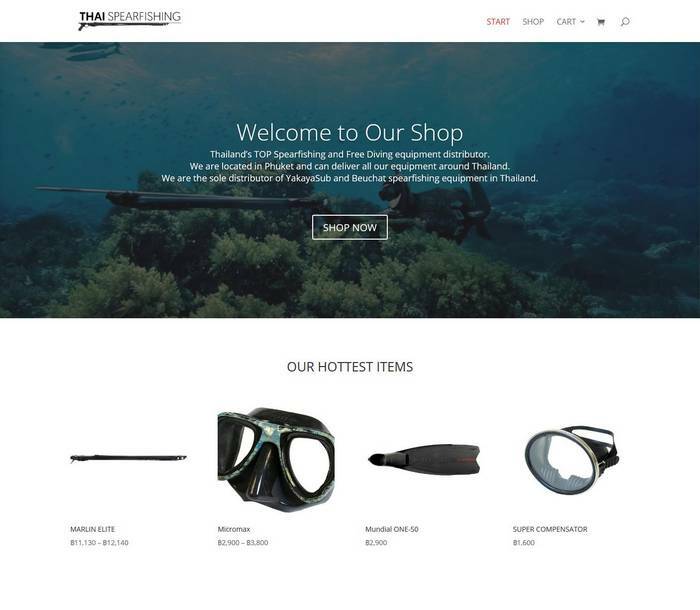 ThaiSpearFishing is a specialised store in free diving and spearfishing equipment in Thailand. You can SECURELY order online and get your equipment delivered to your home. Responsive grid, adapts to any type of device (smartphones, tablets, PC…). Shopping cart (with shipping costs, tax collection, featured products…).